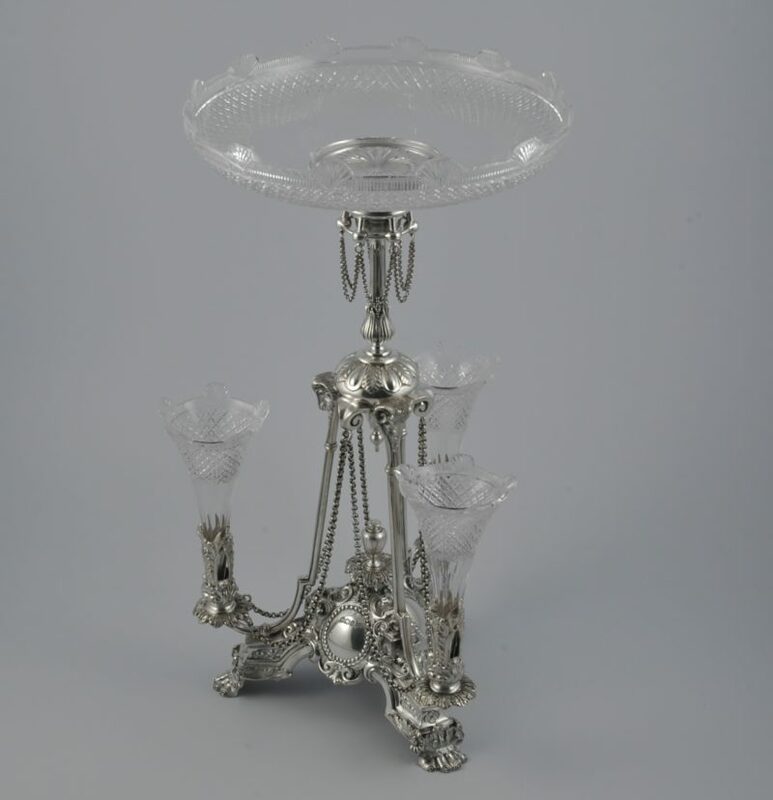 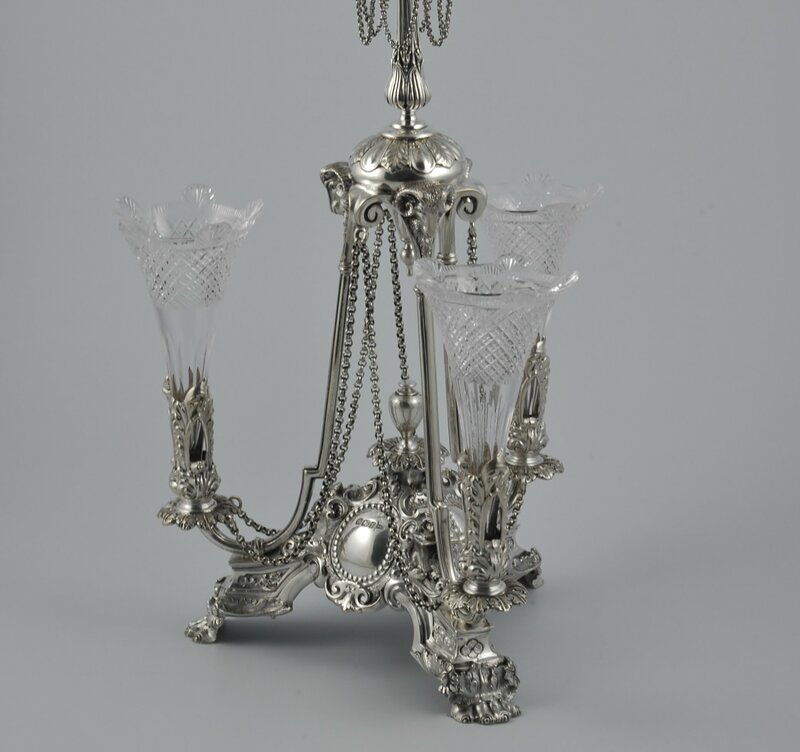 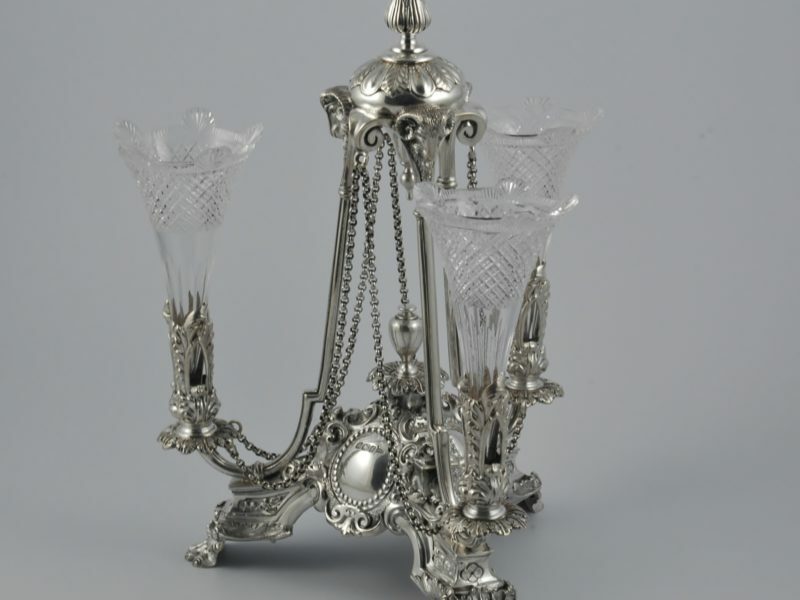 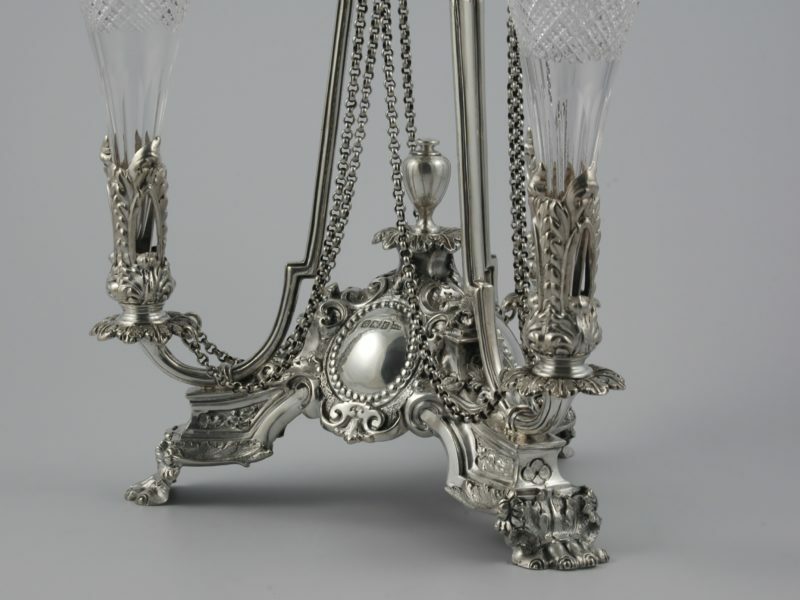 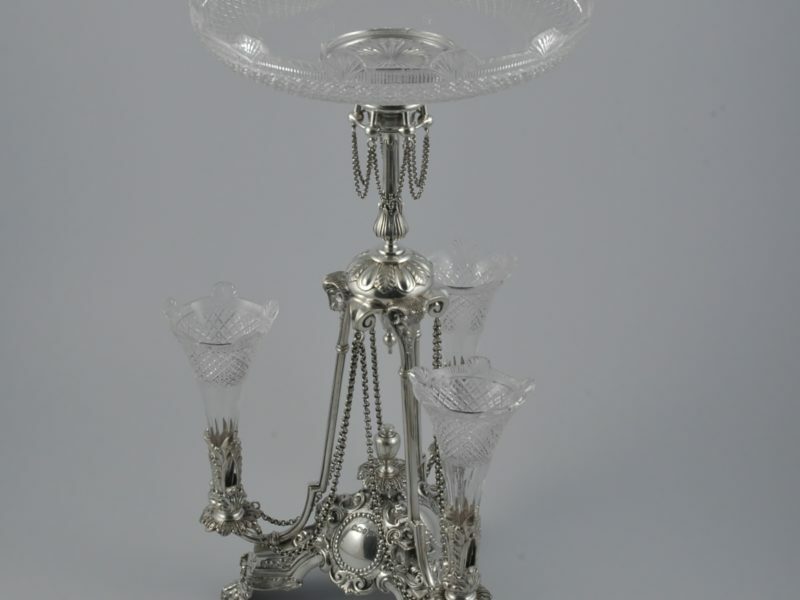 Victorian silver Epergne marked for Sheffield 1898. 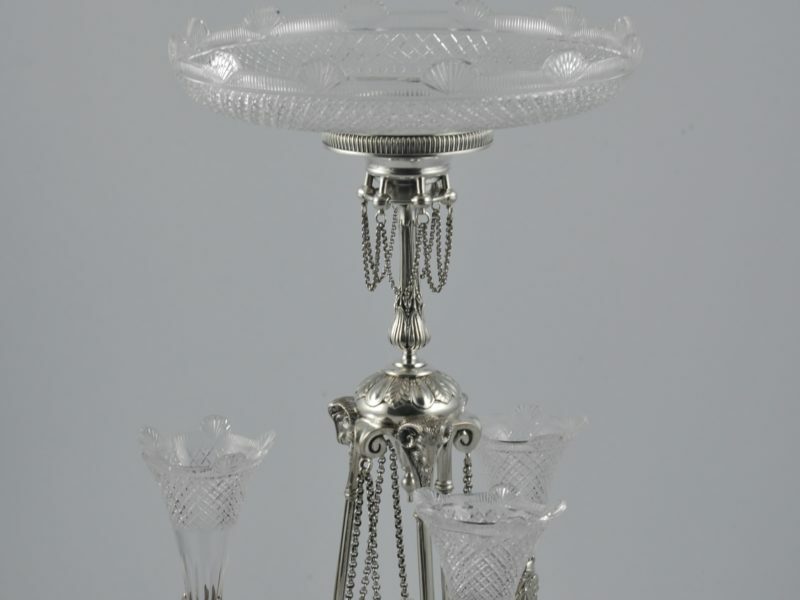 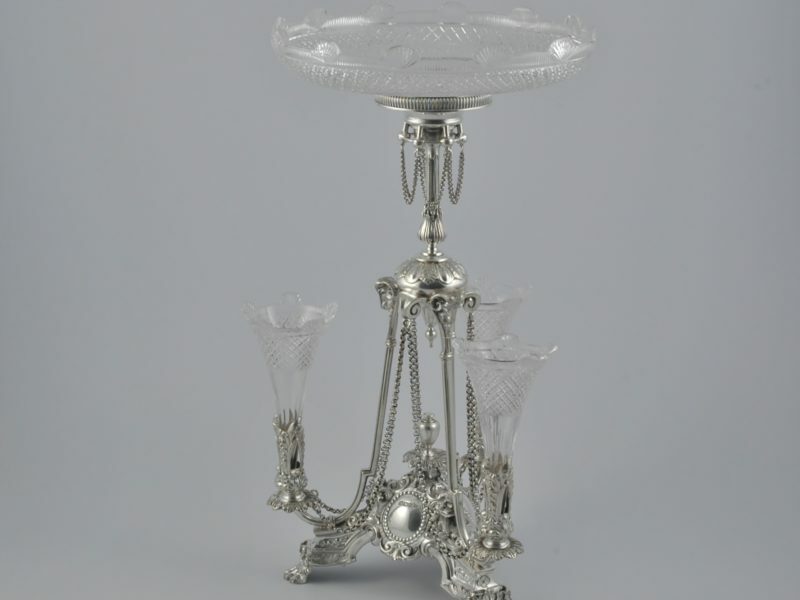 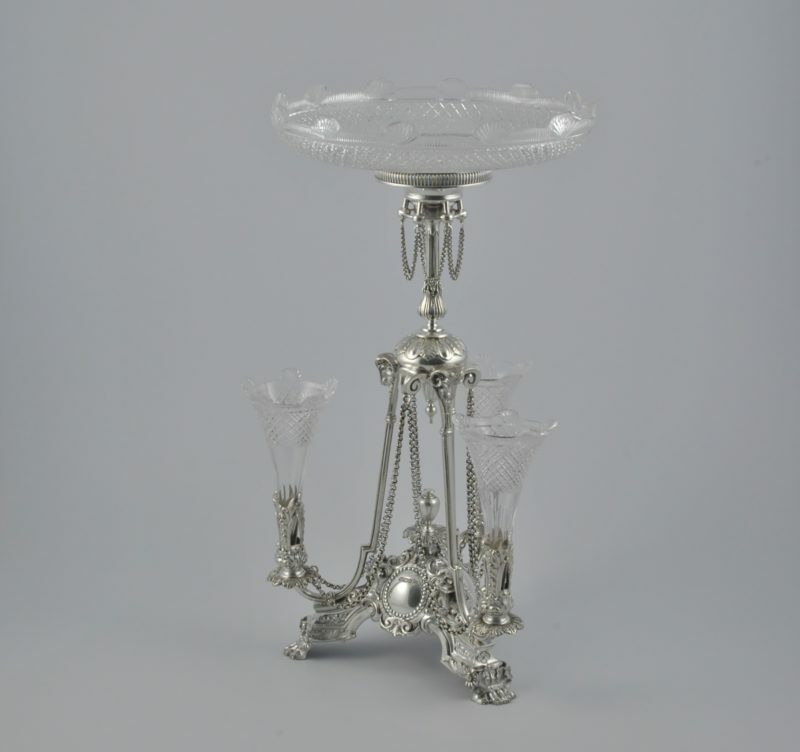 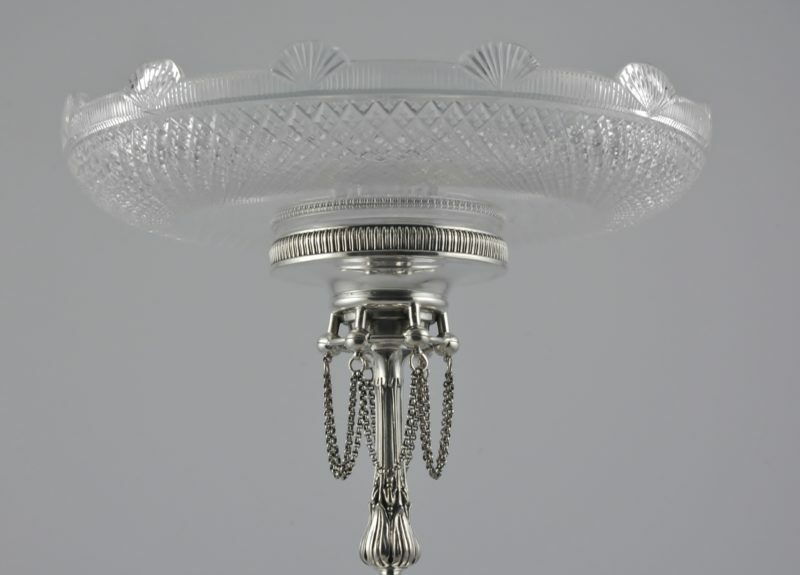 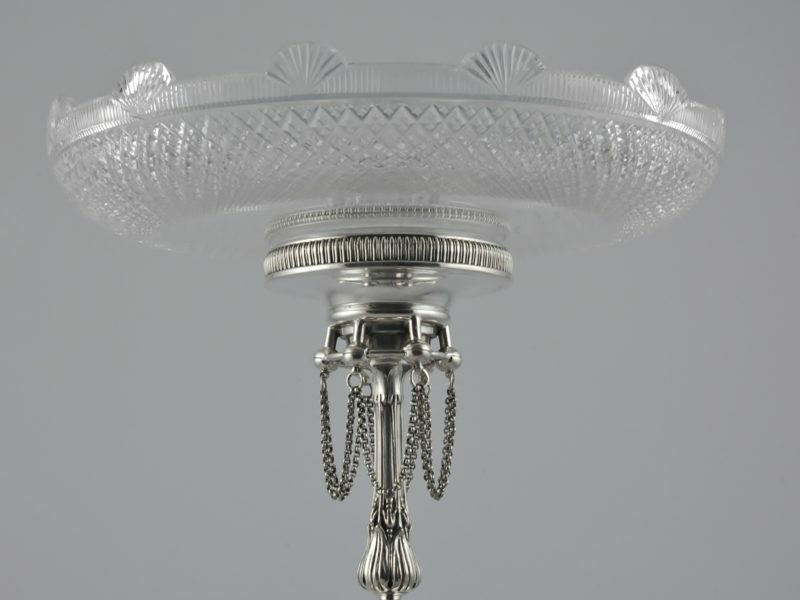 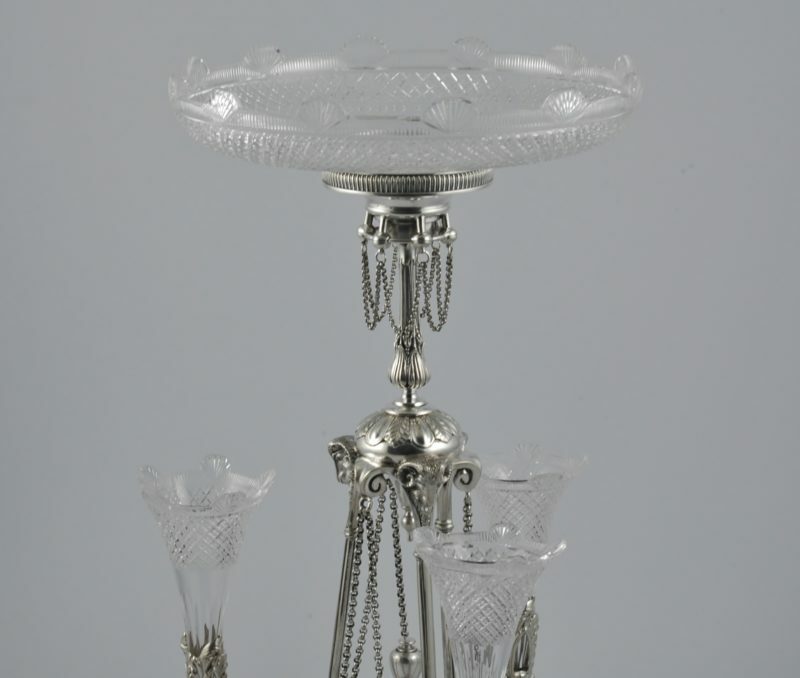 Victorian cast silver Epergne with three cut glass vases and central cut glass bowl. 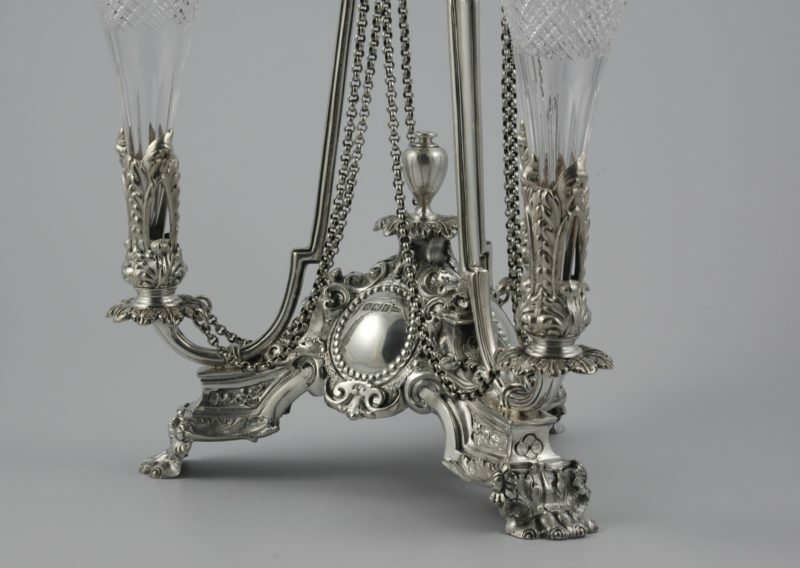 Marked for Sheffield 1898 by Walker & Hall.